We have a comprehensive selection of event lighting including stage lighting suitable for venues where large scale trussing is not practical or desirable. Our lighting systems are scalable from small self operated sound to light bars to more complex DMX computer controlled systems for larger stages. We have LED par lights of various sizes, moving head spots and zoom moving heads which will bring any stage setting to life. Used with a professional haze machine we can bring an impressive professional light show to even the smallest stage. 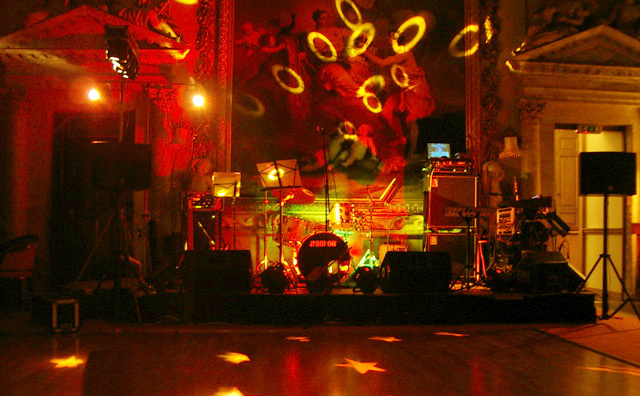 For DJ and party events we can provide dance floor effects lighting to create the perfect atmosphere. 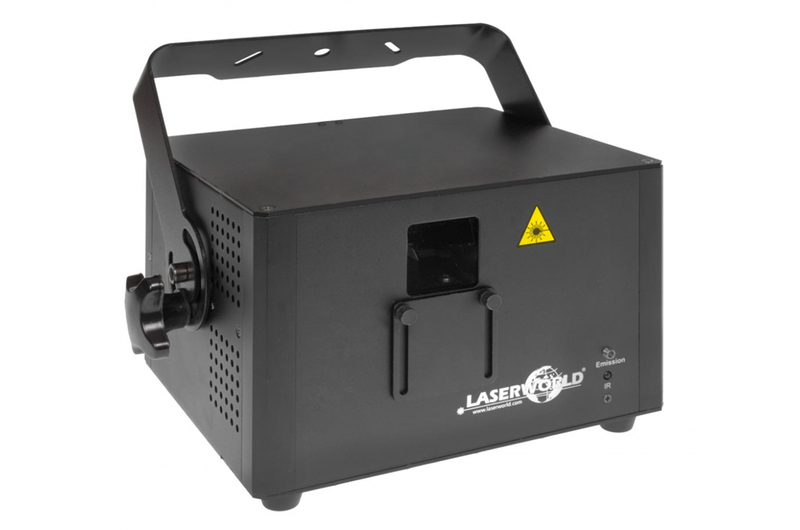 We have roller scanners, moonflowers and lasers to enhance the party experience! Uplighters can make your event that extra bit special. Whether highlighting features or as an atmospheric effect, uplighters will enhance any setting. We have a selection of mains powered “lie flat” LED pars, perfect for wall or accent lighting. We also have a range of IP65 rated weather proof battery powered uplighters for outdoor events, whatever the weather. They are equally at home in indoor settings where mains power is not available nearby. 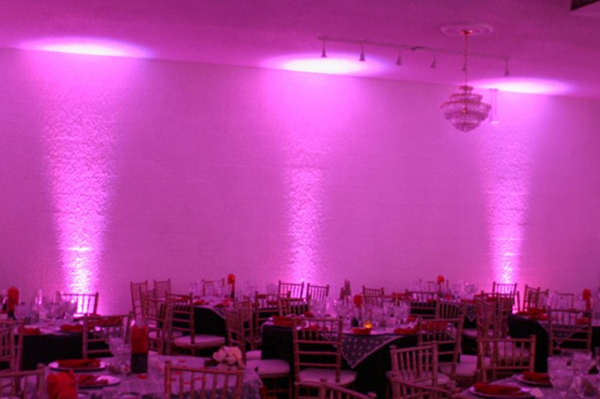 Call our friendly team today to find out more about uplighters for your event. Why not have a superb laser show for your event? We can supply lasers for small events which spread amazing green and red shapes around the room to powerful multi coloured show lasers which create 3D shapes, graphics and much more. In larger rooms we use a haze machine to create the optimum conditions to enjoy the light show at its best. Incorporating a laser into the light show will create the ‘wow’ factor for your event! All our lasers are set up safely and we comply with all health and safety recommendations. We are happy to arrange a free consultation with no obligation – call our friendly team today to discuss your requirements. We have a number of smoke and haze machines of various sizes to cater for all types of venue. 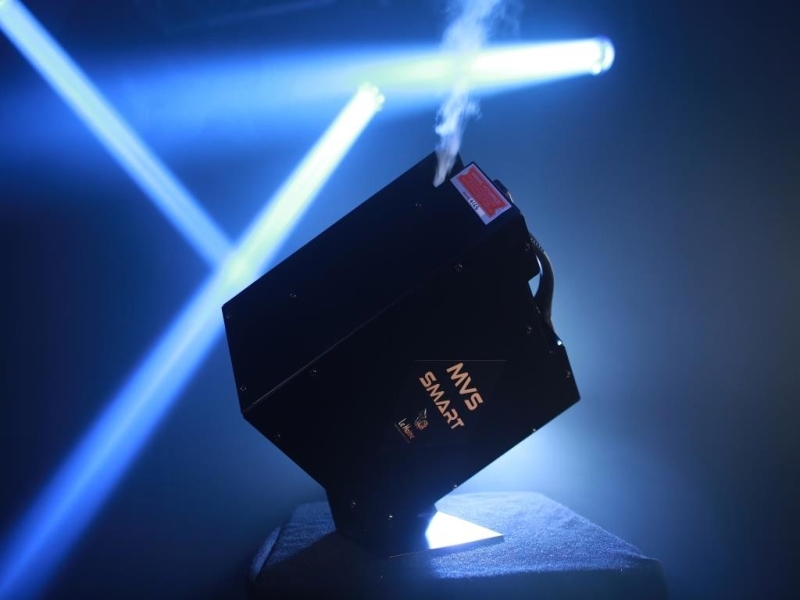 Our haze machines create a very fine haze without any residue which brings any light show to life. We utilize the Le Maitre MVS system which can be adjusted to output the appropriate amount of haze for small or large areas. Using the Le Maitre ‘PureHaze’ sugar based fluid, this hazer is completely safe to use. For denser smoke requirements we use Martin Magnum 2000 smoke machines – an industry standard. Great for special effects and theatrical use. All our haze and smoke machines can be DMX computer controlled for added flexibility.